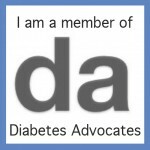 Diabetes Alert Day 2015 - At Risk? Take Action NOW! Tuesday March 24, 2015 is the American Diabetes Association's (ADA) annual Diabetes Alert Day. This day kicks-off a four-week campaign which runs through April 21, 2015. 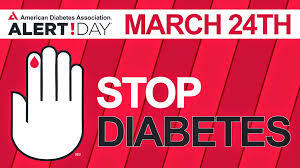 Diabetes Alert Day is THE day each year that ADA sets aside to alert the public to the Diabetes Risk Test. If the results of your risk test indicates you'r at risk, take the next step to know for sure. The goal is for you or your loved one to TAKE ACTION to get diagnosed and care for prediabetes or type 2 diabetes. I wholeheartedly support this effort. The time for action is now! The statistics about the prediabetes and type 2 diabetes epidemics are alarming enough to sound the alarm 365 days a year. They show the dent diabetes is making and will continue to make on our health care system, let alone peoples’ lives and longevity! 29 million children and adults are living with diabetes. (This includes about 6 million people who currently have diabetes but have not yet been diagnosed.) Based on the current U.S. population, about 314 million people - roughly 9.5%. 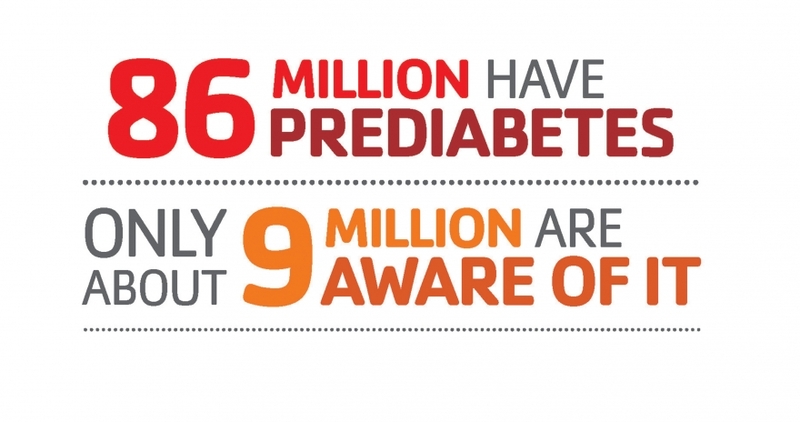 86 million people are estimated to have prediabetes placing them at a much greater risk for developing type 2 diabetes. CDC estimates that’s about 35% of all adults over the age of 20 and 51% of adults over 65 years of age (yes, you read that correctly!). Research from CDC shows, unfortunately, that barely 11% of these people know they have it. One in three American adults will have diabetes in 2050. According to the ADA, $245 billion dollars/year are spent on taking care of people with diabetes and the related diabetes complications. That’s one in 10 healthcare dollars. Caring for diabetes is rising at a rate higher than overall medical costs. This cost figure represents an increase from $174 billion, the 2007 estimate from American Diabetes Association. That’s a 41% increase over the five year period. Interestingly a paper just released online in the ADA journal Diabetes Care by Kaufman and colleagues with a related editorial by Herman and Cefalu, Health Policy and Diabetes Care: Is it Time to Put Politics Aside?, notes that due to the recent expansion of Medicaid in some states due to the Affordable Care Act (aka Obamacare), more people in those states are being screened and diagnosed with diabetes. There’s some good news when it comes to prediabetes. Health plans and systems, local communities are beginning to take action. The National Diabetes Prevention Program (National DPP) has and continues to develop many programs to enroll people in Diabetes Prevention Recognized Programs (DPRP) around the country. Just recently CDC gave pending DPRP status to a handful of online programs. This was noted in an article in Politico, Virtual Programs Get Official Nod. Hopefully this will make it easier for many more millions of people at risk to enroll in programs to support their efforts at living a healthier lifestyle. In addition, CDC and the American Medical Association just launched an awareness campaign focused on preventing type 2 diabetes called Prevent Diabetes STAT. Studies, like the NIH-funded Diabetes Prevention Program and follow up Outcomes Study in those at risk of type 2 diabetes and the Look AHEAD study in people already diagnosed with type 2 diabetes show that type 2 diabetes can be prevented or the progression slowed by losing just 7 percent of body weight (such as 15 pounds if you weigh 200) through regular physical activity (30 minutes a day, five days a week) and healthy eating. Taking steps to live a healthier lifestyle is a key step. Most people with prediabetes or type 2 need to lose at least a few pounds. To do this and keep the pounds off most people need to tweak their eating habits and food choices to lose the weight and keep those pounds off. Becoming more physically active and less sedentary is one more step to living healthier. Easy? No, making these changes and sticking with them is not easy. Important to living healthy and preventing diabetes and related conditions? Yes! According to ADA guidelines most people with type 2 diabetes, even when diabetes is diagnosed should start to take a blood glucose lowering medication. The one most frequently prescribed is metformin. To learn more about how to make critical behavior changes to live a healthier lifestyle check out my book Diabetes Meal Planning Made Easy. What can you do to take Action on Diabetes Alert Day 2015? Take the ADA Risk Test. It takes no more than 30 seconds. Who should take the Risk Test? Anyone over 45 years old. If you’re younger than 45 years old but you’re overweight and/or have other risk factors for type 2 diabetes, such as a family history, diabetes during pregnancies (gestational diabetes), you should take the risk test. Please take the ADA Risk Test. If your risk test results show you’re at higher risk, follow up with a healthcare provider ASAP.